Since young Ralph thinks he knows more than he actually does, he puts himself into serious problems that cause him to realize his need for God's loving intervention. If the Lord doesn't come to his aid, everything will be lost. 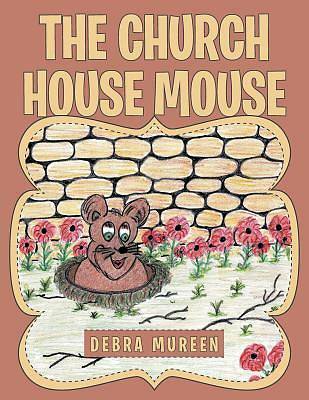 Written from the point-of-view of an adolescent, The Church House Mouse will entertain and enlighten all ages. Sitting on Grandma's lap listening to her read the story, the young child and Grandma herself will both fall under the conviction of the Holy Spirit and see their need to invite the Lord Jesus into their lives. This story is a wonderful way to create an exceptional family memory that will be cherished for years to come. Activities and exercises that promote greater understanding of the story and deeper insight into the ways of God are designed for all ages. The themes of salvation and Romans 8:28 are ever present. The simple questions designed for a young student are complemented by an advanced section to challenge a mature learner. The book and activities can be used for self-study, Sunday School class, youth groups, or family gatherings. A complete answer key for every exercise is included. I invite you to step into the pages of this adventure, gain new insight into the workings of God in an individual's life, and grow strong in the Lord with Ralph. My long-time friend, Debra Mureen has, in this delightful little tale, created a complete, but cogent and concise word picture of the truth of and need for the Gospel of our Lord Jesus. It speaks hope and joy to anxious and confused folks of all ages. It uses just the proper amount of humor to entice those that are both curious and anxious in a powerful, but quiet and gentle manner. I have been a professional educator and active Gideon for over forty years, and I wish I had had this story to read to my sons when they were young. Leonard Davis, Dallas, Texas.